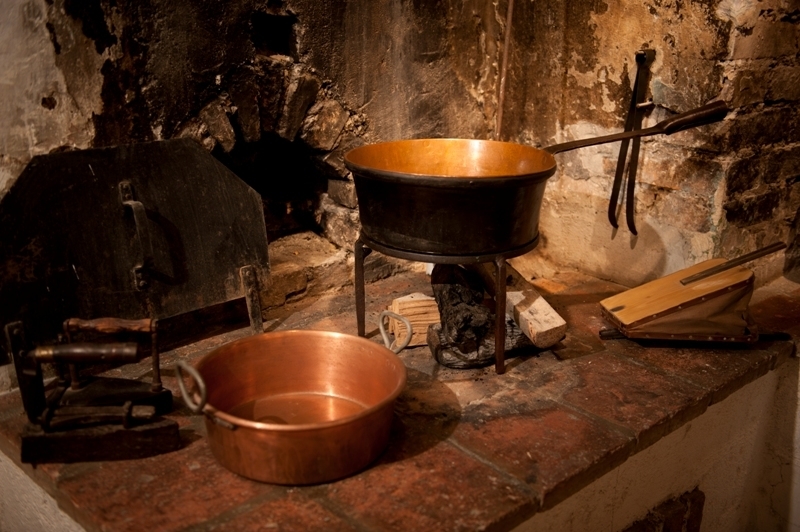 Domestic life centred on the “Rauchkuchl” (literally a “smoke-kitchen” – a kitchen in which cooking was over an open fire). In 1807 Gruber took up his position in Arnsdorf as teacher, Church organist and sacristan. The contract of appointment is dated the 12th of November 1807. In July of that year he had married Maria Elisabeth Engelsberger (née Fischinger), the widow of his predecessor, with whom he had two children. Both died in infancy. After her death in 1825 he married his former student, Maria Breitfuss. They lived together for fifteen years and had ten children, four of whom reached adulthood. The family probably also employed a servant. This stove therefore provided for as many as seven people.